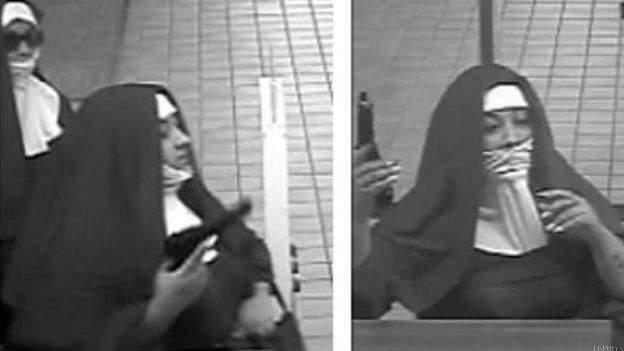 The FBI is searching for two women who tried to rob a bank in the US state of Pennsylvania dressed as nuns. One of the women brandished a gun as she demanded money during the incident at a bank in the town of Tannersville on Monday. Both were wearing black nun's habits and veils and one was wearing sunglasses. They are believed to have fled when one of the bank tellers operated an alarm.